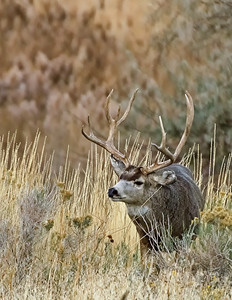 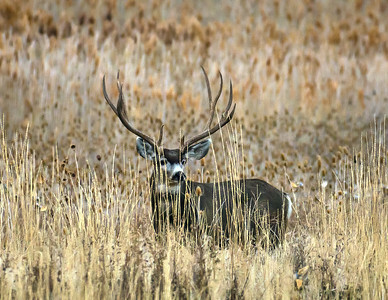 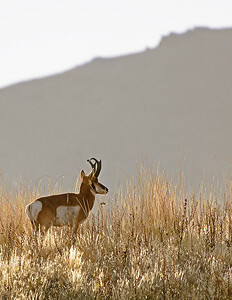 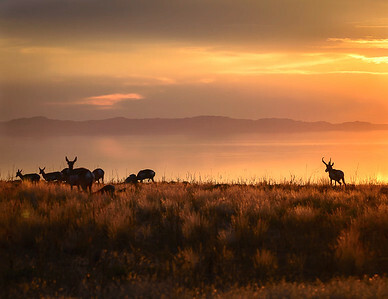 Mule Deer Buck in Rut Antelope Island. 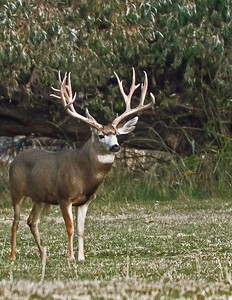 Saw him last year didn't see him this year. 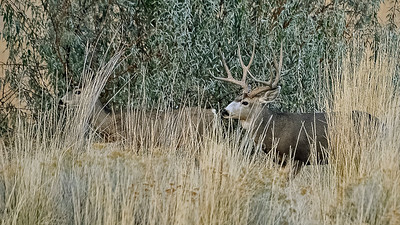 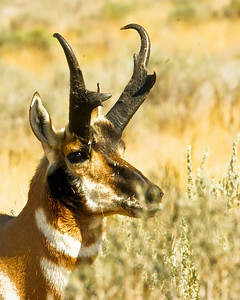 You can see in the photo the buck has five points on the right side of his antlers. 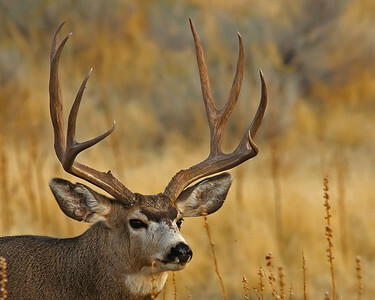 The number of points is not an indication of age. 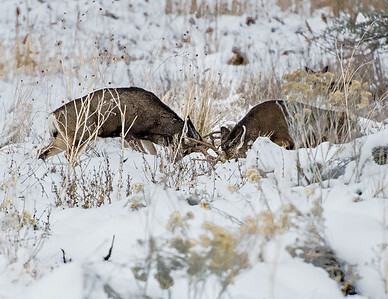 Photographed November 2013 during the rut. 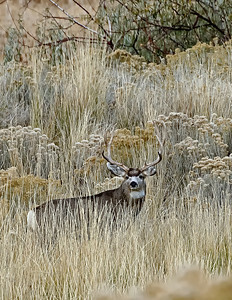 Wonderful Mulie for Antelope Island November 2013 take during the rut. 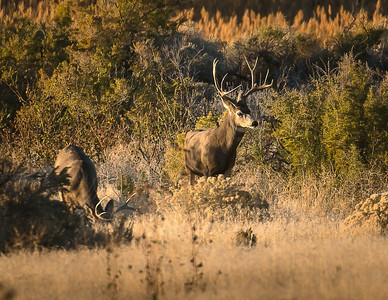 The warm light of the setting sun on a nice Mule Deer Buck. 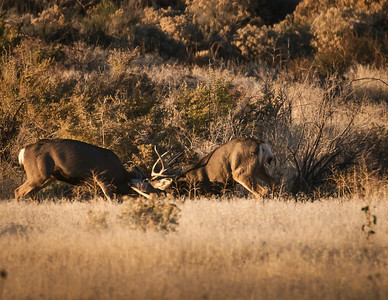 Two Mule Deer Bucks determining rutting dominance. 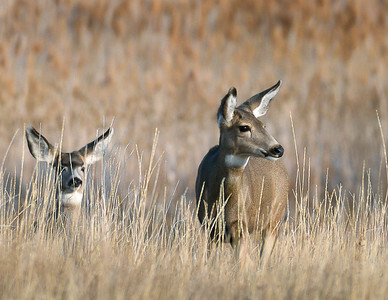 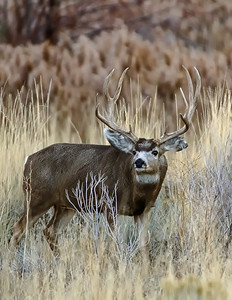 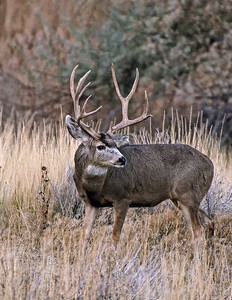 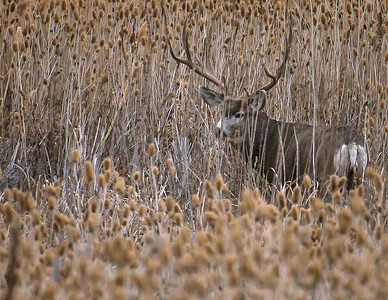 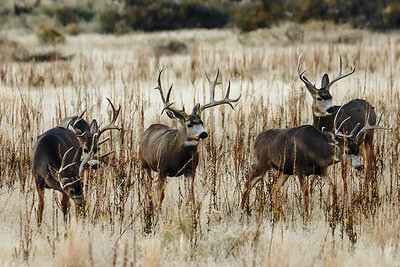 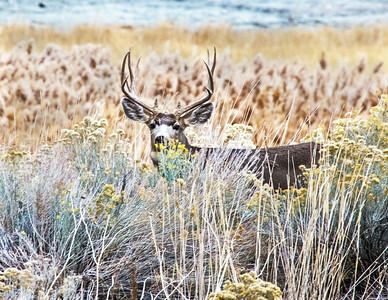 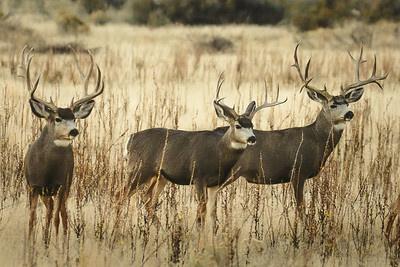 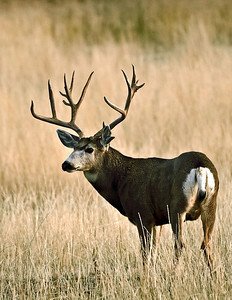 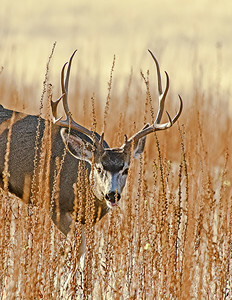 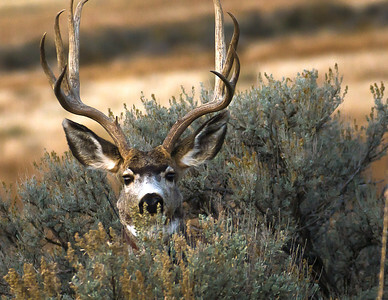 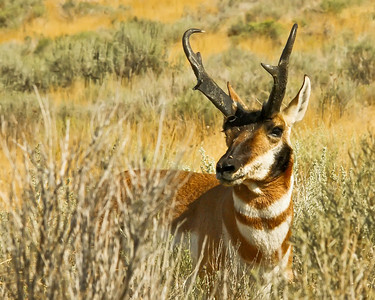 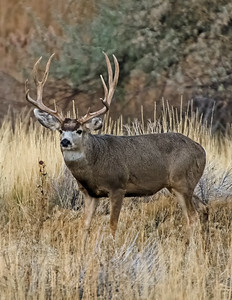 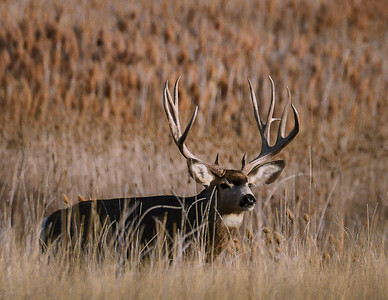 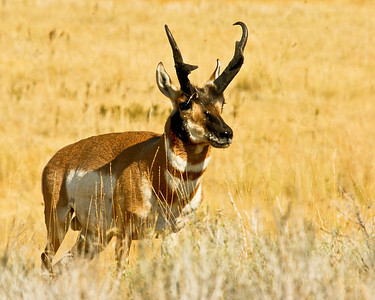 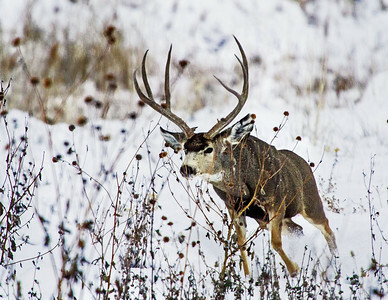 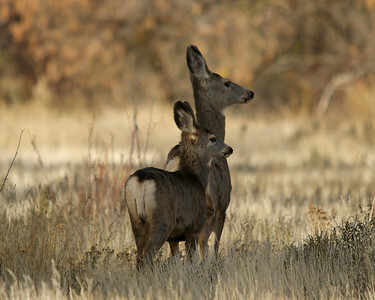 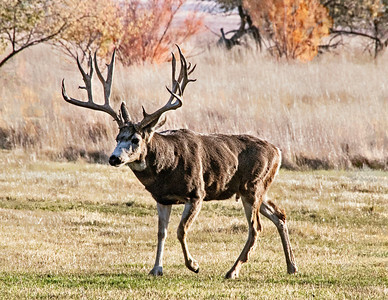 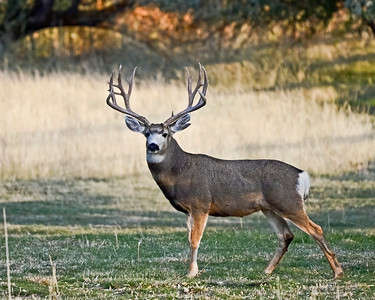 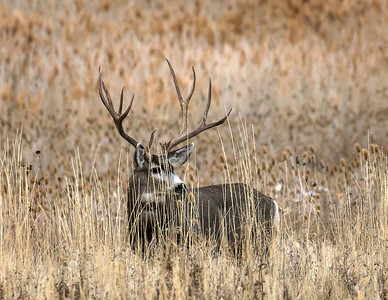 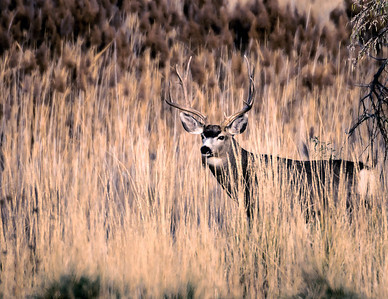 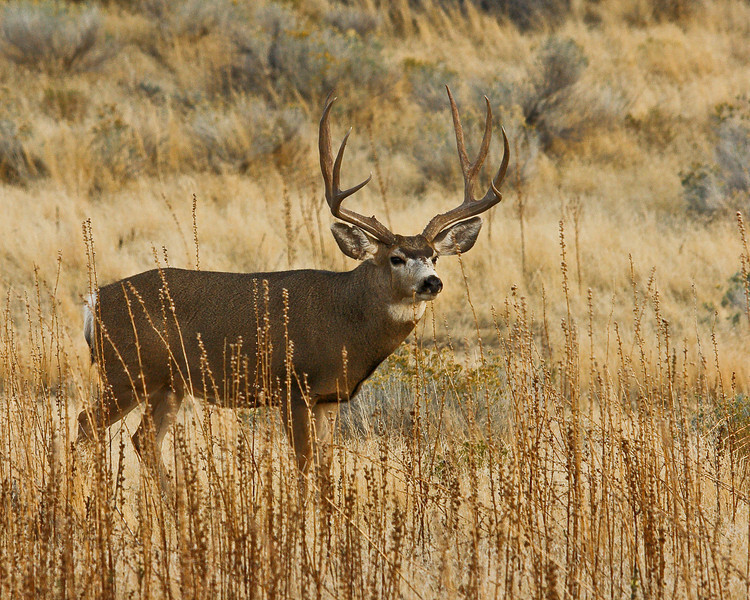 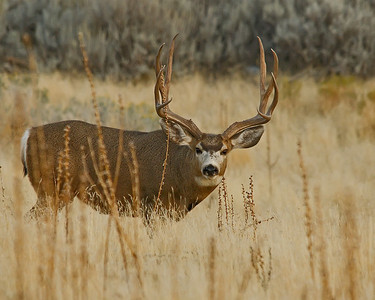 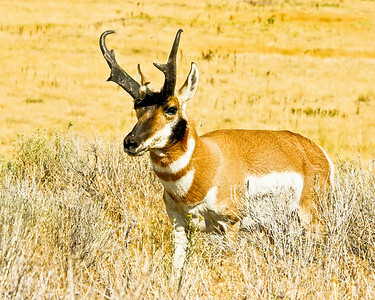 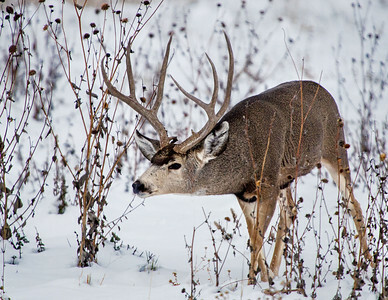 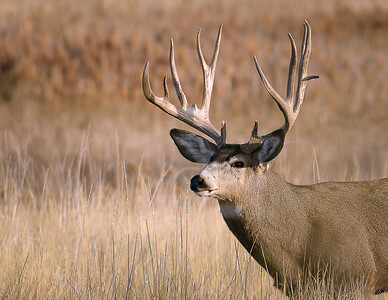 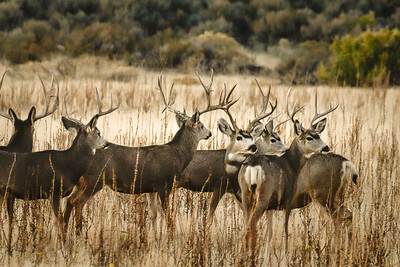 Before the rut begins and through the Summer Mule Deer Bucks form Bachelor groups. 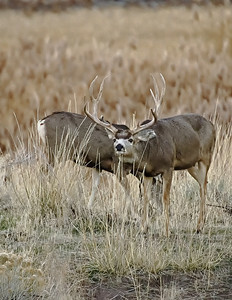 Rutting dominance is established. 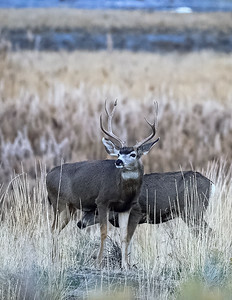 I spend much time photographing rutting buck Mule Deer Bucks but you can't forget the Ladies.